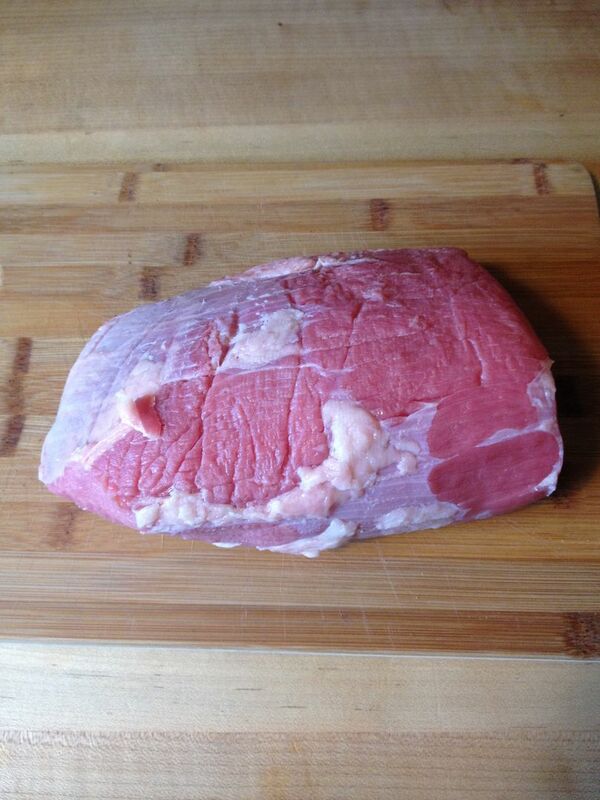 Eye of round is a great, low fat cut of beef. Perfect for someone on a diet. 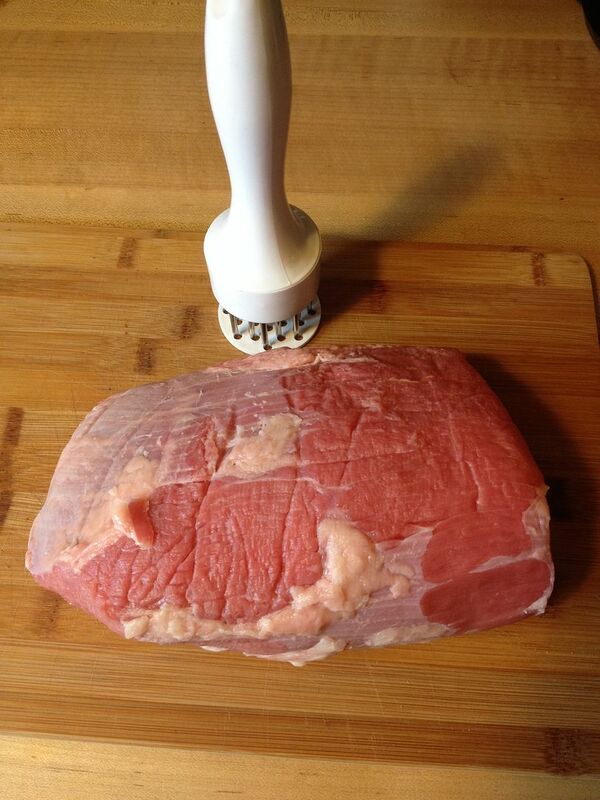 You get the nice taste of beef without all of the fat. Problem is, it can be problematic to cook. With the minimal fat, it can be tough and dry. How to over come that? Pittsburgh Rare I say. What is Pittsburgh Rare? 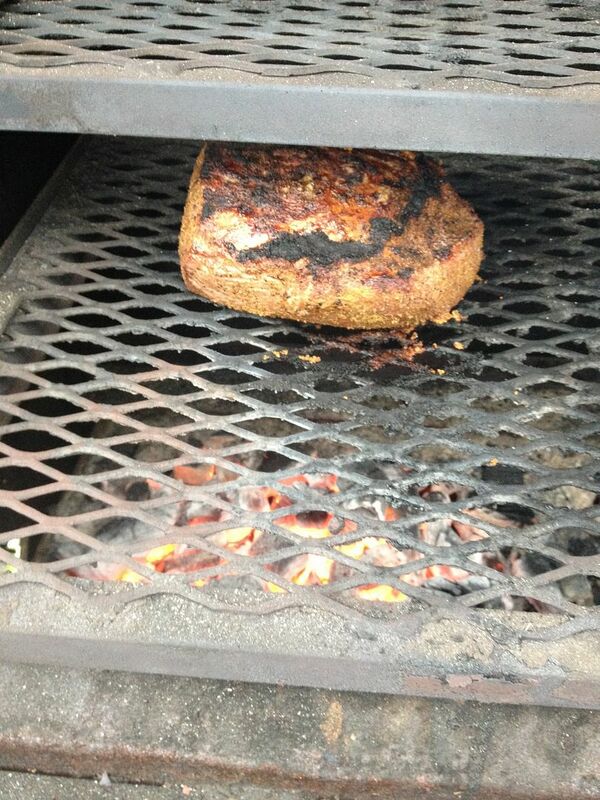 Well, it is a style for cooking a steak in Pittsburgh that is a notch below rare. There is even some Internet history about this cooking style. If you read it on the Internet it has to be true, right? Anyway, on to my method. First, I took my eye of round and tenderized on all sides. 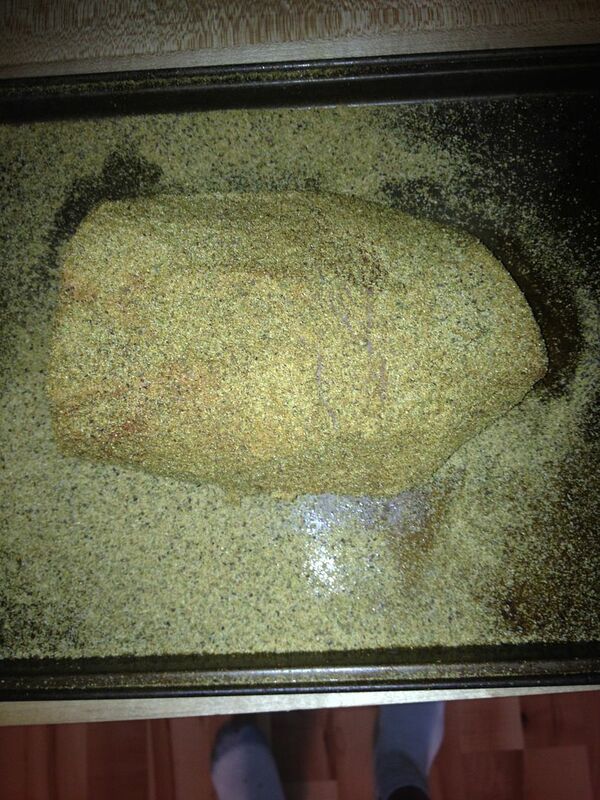 Then, I seasoned liberally on all sides of the roast with Oakridge Santa Maria Steak Seasoning and allowed the meat to sit on the counter so the rub would form a crust and the meat would come to room temperature. 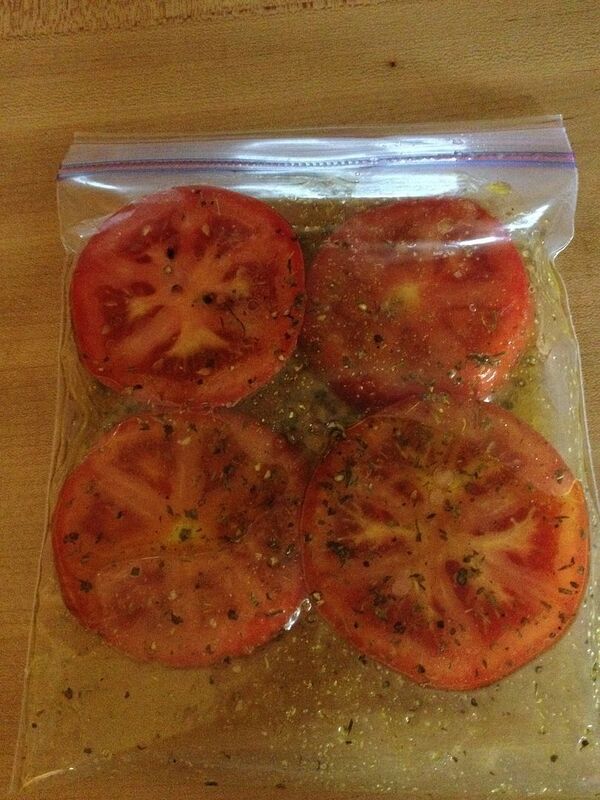 While the beef was getting happy, I thick cut some tomatoes and marinaded them in some olive oil, granulated garlic, oregano, basil, thyme, sea salt, and pepper. Then, I went out to my grill and started a scorching hot fire. 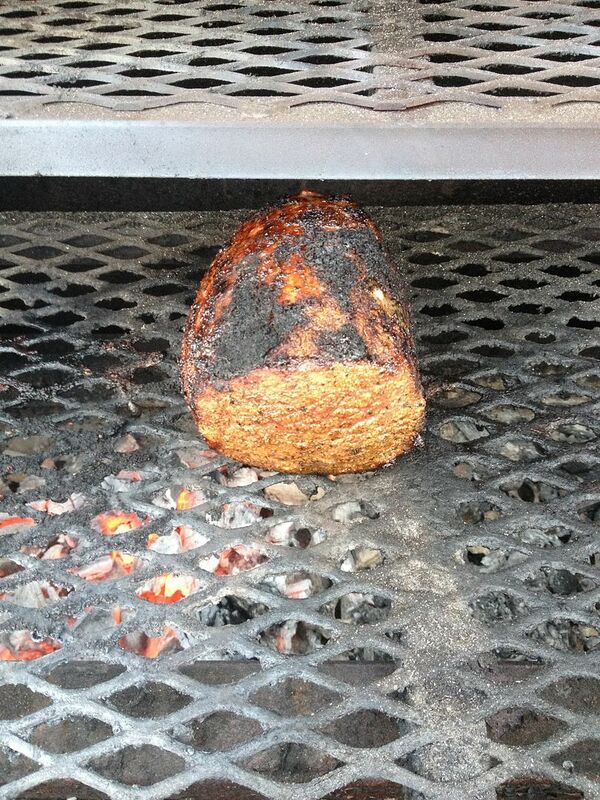 My temperature was around 450 F. I place the beef on direct heat over the coals and just kept turning. Once I thought the meat was starting to get done, I placed my tomatoes on direct heat to sear off one side, then I flipped them over and placed fresh mozzarella slices on top. 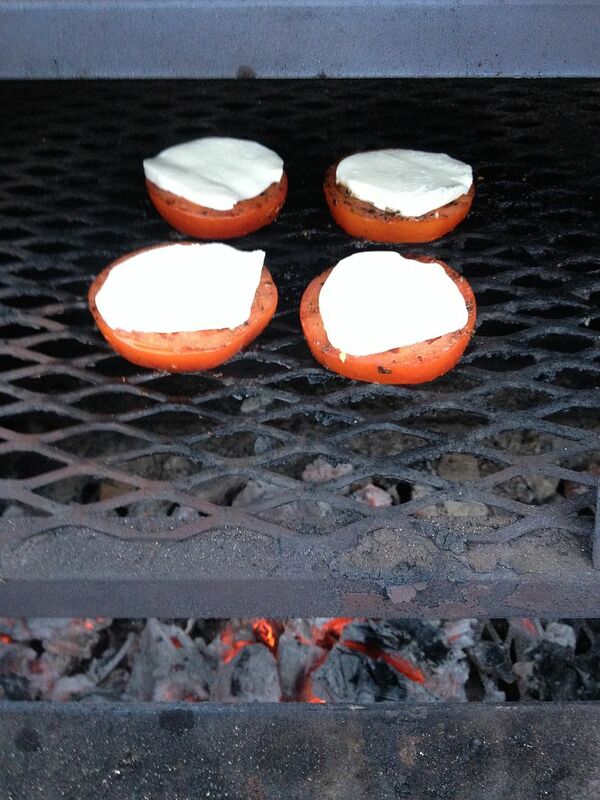 Then I moved them to indirect heat to melt the cheese. 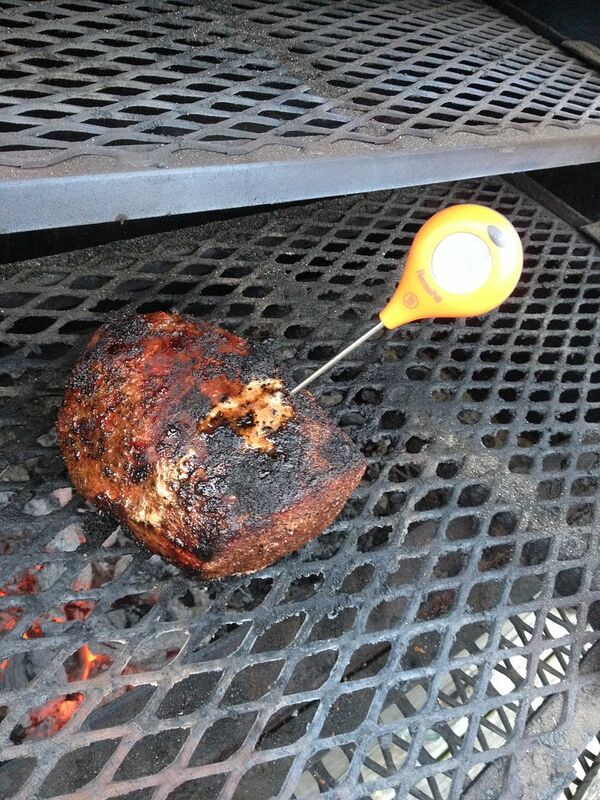 I pulled the roast when the internal temperature was at 130 F. I wanted to pull at 125 F, but I lost track of time. Unfortunately, I lost my pictures of the final product. But, you will have to take my word. The eye of round turn out a nice rare inside and was tender and juicy. 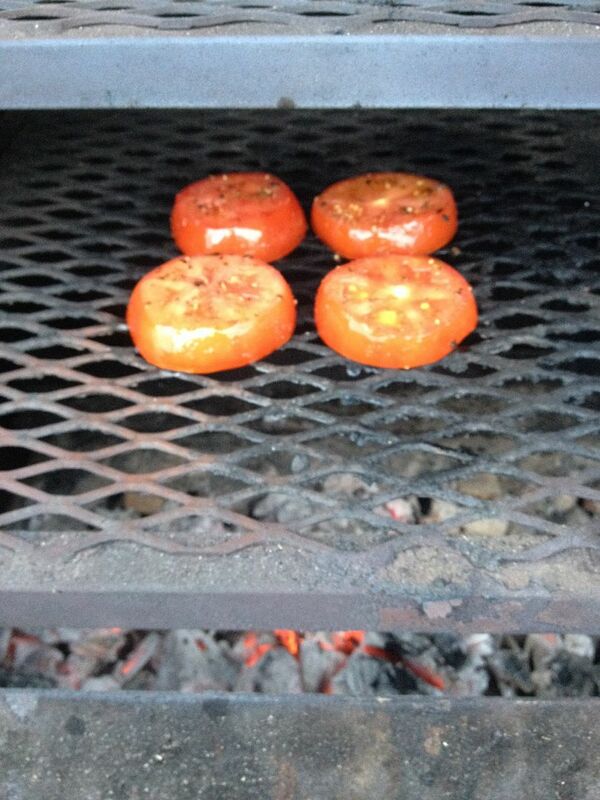 The tomatoes were perfect with just the right amount of crispy brown on top. Next time I make this, I promise I will get some better pictures of the plated product. We want the money shot. That last shot is sometimes the hardest. 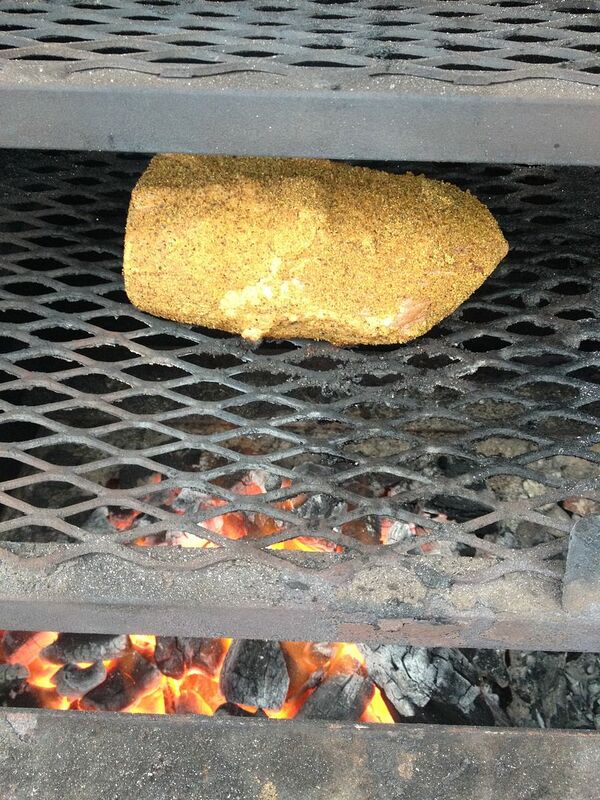 Eye of Round is an inexpensive cut that done right is tasty. You know what your doing. Very soon we will be able to use our own tomatoes. We are leaving in several minutes for a competition in Redding, Ca. Have a fun weekend. I know. I screwed up. I promise to do better next time. 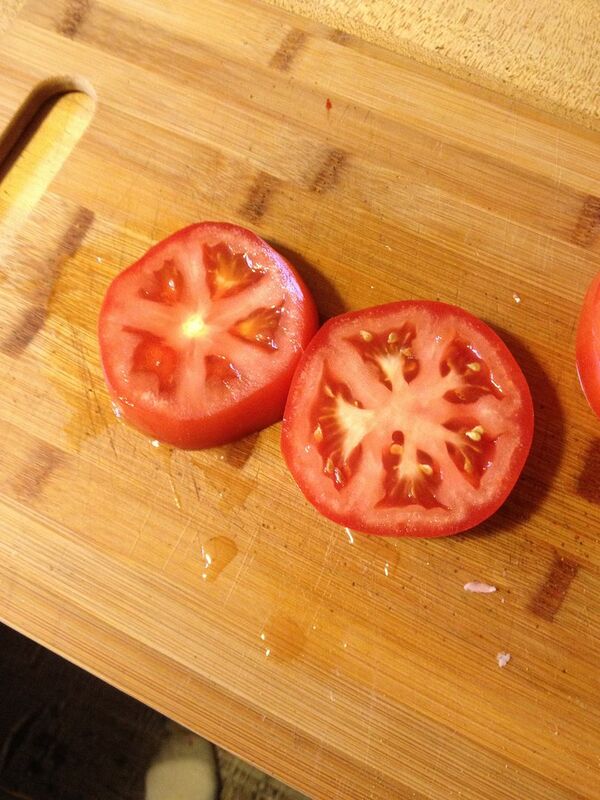 These tomatoes were from Arkansas. Alway the first fresh ones of the year. Very meaty. We like them. Have fun today. Say hi to Hog Heaven if you see them there.